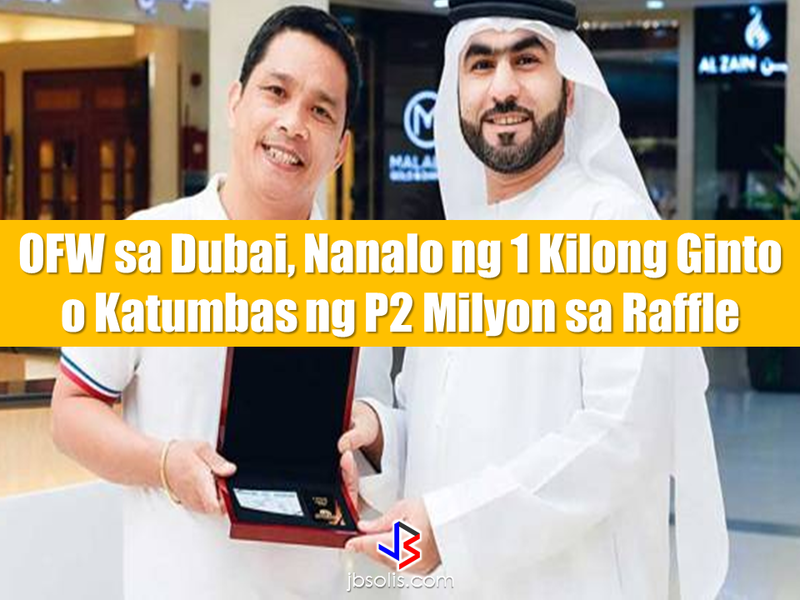 In just a matter of days after an OFW who is working as an engineer in Dubai had won the grand prize of 1 Million Dirhams, another Dubai-based Filipino engineer won another raffle in Dubai, this time he bagged one kilo of gold worth over P2 million. Edmundo Catangay, general technician in Ras Al Khaimah, won a kilo of gold worth Dh150,000 at a raffle held during the annual Dubai Summer Surprises (DSS) extravaganza. 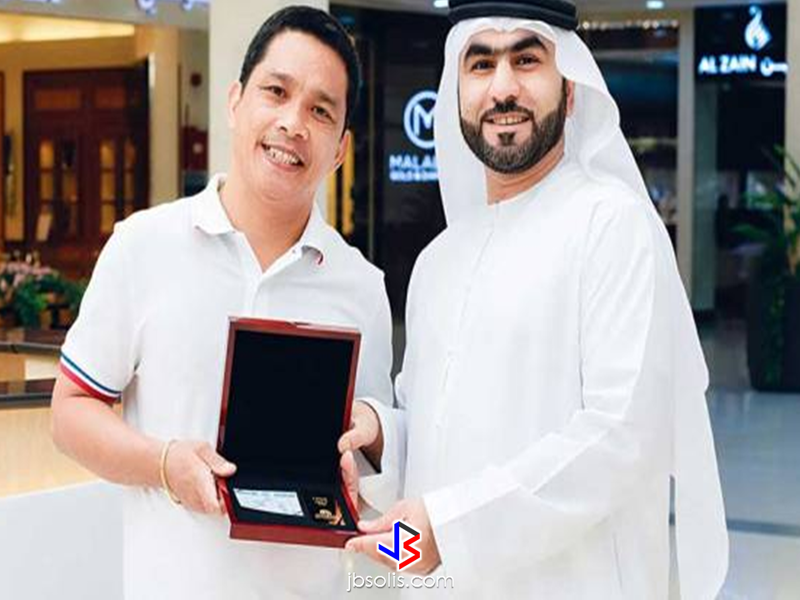 Catangay, was working there for two years, recently joined a raffle at a local mall City Centre Deira and even forgot that he joined such raffle. When he received the call by the organizers, he even thought that it was a prank. You can never blame him for the emergence of scams, but this time its for real! He got the grand prize of Majid Al Futtaim’s shopping promotion during DSS that encouraged mall visitors to spend a minimum amount of 400 Dirhams for a raffle entry. 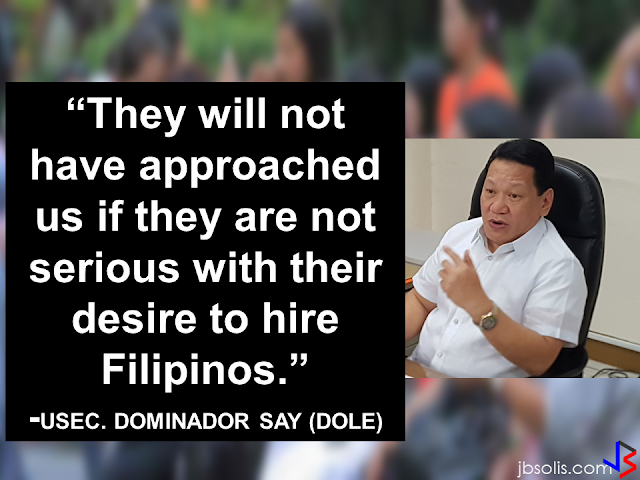 The OFW, a father of three children said that he will use his winnings to purchase a house and lot back home. A female Overseas Filipino Worker (OFW) working in Saudi Arabia was killed by an unknown gunman in Cabatuan, Isabela on Sunday. The OFW is in the country to enjoy her vacation and to celebrate her bithday with her loved ones. The victim's mother, Betty Ordonez, said that Jenny Constantino, 29, arrived in the country from Saudi Arabia for a vacation.